Why is FIR light energy referred to with reverence as "Life Light", "Gift from God", "Invisible Light" and "Light of Light"? Most certainly because of the essential and profound physical effects FIR has on our health. Your body is made up of billions of cells working together to maintain your level of health. No biggie, till you discover just how essential FIR is to this process. Far Infrared Rays – are the longest rays within the infrared spectrum of light and in sync with your body's energy. Meaning, they can easily be absorbed deep within our skin and muscle tissue improving cellular activity and blood-flow. Improving your circulation on a molecular level has it's advantages. Fresh nutrients and oxygen can reach the cells and speed the process of recovery and regeneration. Only Far Infrared Rays can penetrate into the body up to 1.5 to 2.8 inches (approx. 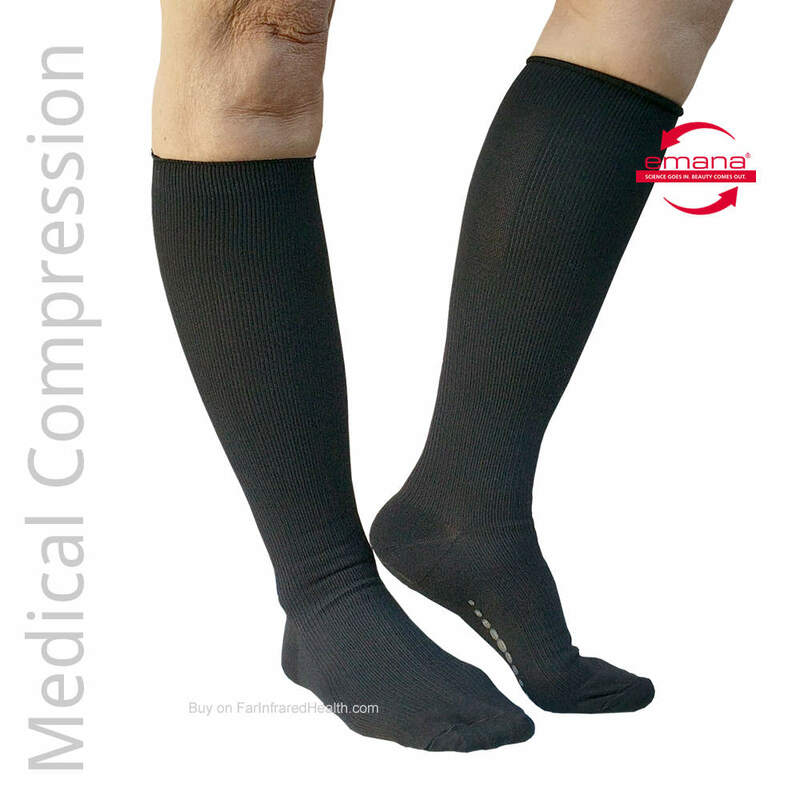 3.75 - 7 cm)and remove the stagnant blocks (dormant cells) and normalize the blood circulation. The FIR energy activates the cells, increases blood vessel resilience, and promotes cellular functioning. FIR is absorbed by the human body through what's know as "resonance absorption". It's like magic, well maybe not magic once you understand it. But it certainly works like magic. When this wonderful “Life Light” reaches the human body and other living things, there is powerful connection called, resonance. Meaning both your body's cells and FIR rays are "vibrating" at the same relative frequency and the light is easily absorbed. 4. Far Infrared Clothing is safe, effective and affordable for people looking for a solution to their pain problems. 5. This is a non-invasive first line of defense against chronic pain. 9. Far Infrared Therapy can boost your quality of life! Here are just a few of our Far Infrared Therapy Products.